In his late work, Michel Foucault argues for an ethics founded on the ancient “care of the self,” a self-relation that critically resists the institution of rationalism, the ethics of autonomy, and their apotheosis in neoliberal biopolitics. 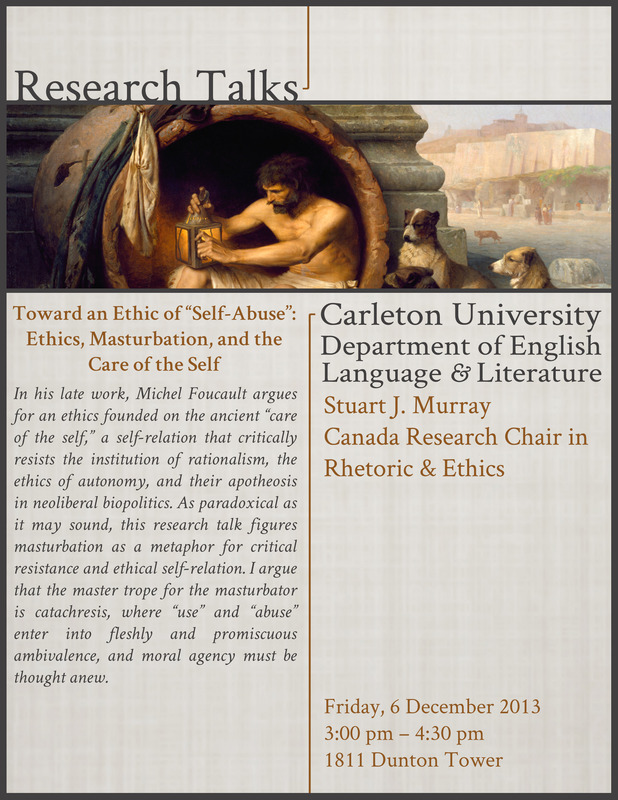 As paradoxical as it may sound, this research talk figures masturbation as a metaphor for critical resistance and ethical self-relation. I argue that the master trope for the masturbator is catachresis, where “use” and “abuse” enter into fleshly and promiscuous ambivalence, and moral agency must be thought anew.